Lossless compression preserves all original data of the image. Because of this, you can only reduce file size so much. Lossy compression permanently removes part of the original data (often redundant) information. 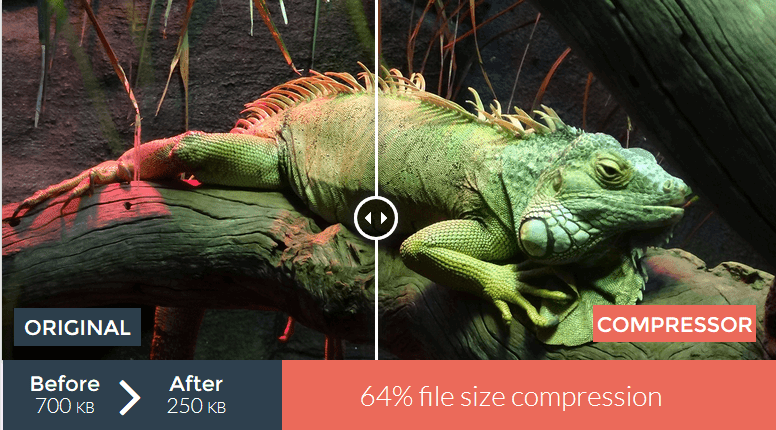 With lossy compression you can drastically reduce file size, far more than lossless. Lossy compression is often applied to JPG images, audio, and video formats. 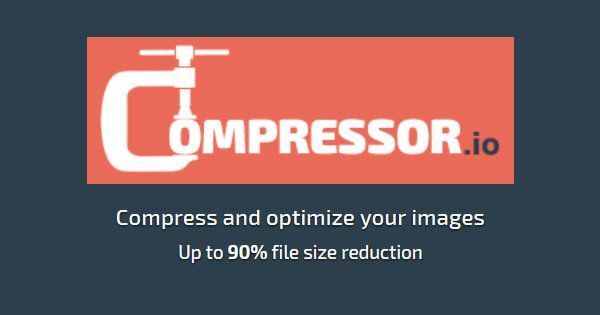 Compressor.io is completely free and is perhaps the best image lossy and losslessly compressor tool on the web. The image formats currently supported are JPEG, PNG, SVG and GIF. All you have to do is upload your image to the site and it will be compressed within seconds. Once compression is complete, the site will display the percentage of reduction and a link to download your compressed image. Above the download link, the site displays your image with a slider to view the visual quality difference. This web tool does such a great job at optimizing your images that you often see no difference in visual quality. Just keep in mind that with lossy compression, since parts of data are deleted, the difference in visual quality is sometimes noticeable. I've managed to decrease the file size of my website logo by 59%! Go ahead and try it for yourself and start improving your website speed performance. There are many tools and online services for file size reduction. For many purposes,the images need to be reduced in their size and shape for optimization for increasing the speed.https://www.facebook.com/Essay-Republic-170088340038536/ is helping the people who want to get a high speed on their website.